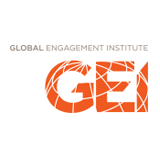 The Global Engagement Institute (GEI) provides international students and professionals with high-impact education and engagement programs in developing countries, currently in East and Southern Africa as well as South East Asia. In the Health focus area, visiting delegations have the opportunity to upgrade their own professional knowledge, skills and intercultural competence while making significant contributions to the development of capacity of local health professionals, institutions and systems. 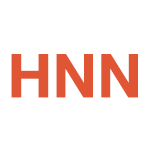 In partnership with the Council of International Neonatal Nurses (COINN), we have launched the EHN campaign, a unique high-impact global engagement model to inspire health professionals and institutions from around the world to Engage for Healthy Newborns in Africa and Asia. In collaboration with health ministries, universities, hospitals and civil society partners at the destinations, EHN sends Travel & Teach delegations of 12 international health professionals and an experienced master trainer to countries like Rwanda, Tanzania, Papua New Guinea and Vietnam. Participants have the opportunity to upgrade their own professional knowledge, skills and intercultural competence while making significant contributions to the development of capacity of local health professionals, institutions and systems. On the ground, they first take a Helping Babies Breathe (HBB) Master Trainer course and an intercultural workshop together with a group of local counterparts, before pairing up to teach HBB to local health professionals under the supervision of the master trainer. The typical duration of the trips is 11 days. The result is a unique self-financing model. Each visiting delegation is entirely paid for through the participants’ contributions to their costs of attendance or through sponsorships. And the impact goes far beyond the main goal of developing local workforce capacity: Both international and local participants also benefit from opportunities to enhance their emotional and cultural intelligence, and to foster global understanding, professional exchange and friendships.